Manzanilla olives from Andalucia, also known as "Spanish olives," are small to medium in size and are greenish brown in color with a firm, meaty texture and slight almond taste. They are often used in antipasti platters and are sometimes added to cooked dishes like arroz con pollo. Manzanilla Olives contain many minerals and vitamins; especially carotenes, and also contain a lot of fiber. "Gorda" means "fat" in Spanish which is where Gordals get their name. They are large firm, plump green olives and are meaty with a mild flavor. 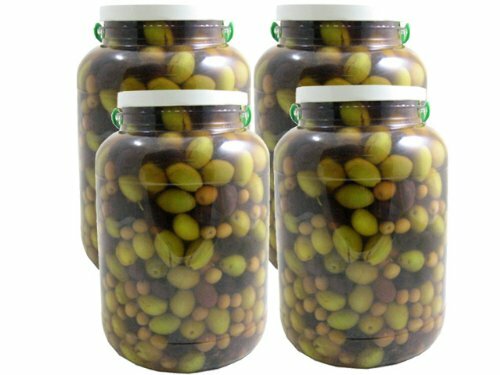 When you order this item you will receive one case of 4 - 5 lbs 8 oz jars of Don Pelayo Assorted Spanish Olives. If you have any questions about this product by Romanico, contact us by completing and submitting the form below. If you are looking for a specif part number, please include it with your message.